Scrap finds the biggest stick ever. He thinks it’s brilliant, but Polly and Ash aren’t so sure. Then they find a little chick that needs rescuing. 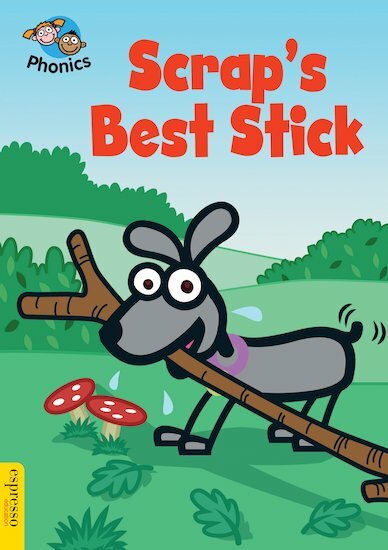 Perhaps Scrap’s stick will come in useful after all! A comical story for phonics improvers, told in no more than 150 simple words. Supplied in a sturdy hardback, this appealing tale focuses on adjacent consonants plus a wider range of everyday words including “said”, “have”, “like”, “some” and “come”. It includes a quick puzzle, plus notes for parents and teachers.